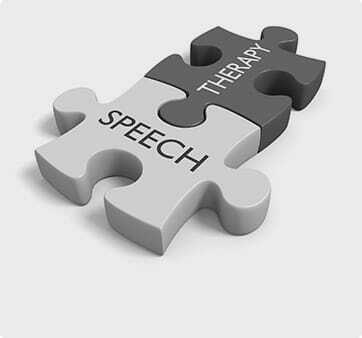 The speech pathologists at HealthPoint provide top-quality therapy to those who are communicatively challenged. This may be due to illness or conditions such as a stroke, Parkinson’s disease, ALS, autism, dementia, speech impediments, swallowing disorders, and more. The highly qualified team of professionals in our speech pathology department is specially trained to help each patient reach his or her maximum potential in overall development. The speech pathologists at WCH’s HealthPoint are specially trained to diagnose and treat swallowing disorders. Our diagnostic evaluations include bedside swallowing and modified barium swallow evaluations. Our therapists treat patients with tongue thrust, in which the tongue protrudes when swallowing, speaking, or even while at rest. Among the therapies we offer is a habit-training technique that involves reeducating tongue muscles and those associated with swallowing. This focuses on adjusting a patient’s swallowing pattern, which is often a prerequisite for braces. 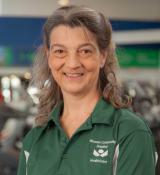 Our staff is composed of board-certified specialists and therapists with advanced credentials. Many of our staff members have presented at national conferences and are very involved in the latest research to improve patient outcomes. 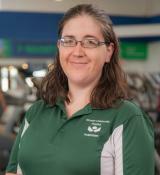 Jamie graduated with a master's degree from the University of Akron in 2004 in speech language pathology. She has vast experience in treating patients from 15 months of age and up who have communication and swallowing disorders. Her areas of interest include articulation and orofacial myology disorders (tongue thrust). She is VitalStim-certified and Lee Silverman Voice Treatment-certified. Her interest outside of speech therapy is photography. Beth graduated from the College of Wooster in 1982 with a bachelor of science degree in communications. She then graduated from the University of Michigan with a master of science degree in speech pathology in 1985. She has years of experience working with patients from infants to the elderly in communication, feeding, and swallowing disorders. Her areas of interest include pediatric feeding/swallowing and autism. She lives with her husband and two sons in Wooster and helps to run their certified organic farm. For more information about our speech therapy services, which are provided on an outpatient basis at Wooster Community Hospital’s HealthPoint facility, call (330) 202-3300.